For those of you keen to keep that fiesta feeling going join us at one of Europe's top summer music festivals! Pamplona's San Fermin festival is a week-long fiesta consisting of fireworks, parades, all-night partying and of course, the daily running of the bulls. Renowned the world over, this is one European festival definitely not to be missed! 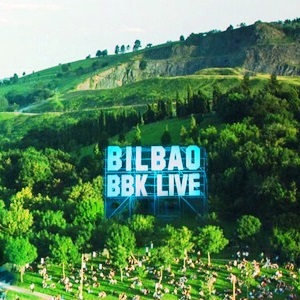 Now into its 13th year, Bilbao's BBK Live event has developed to a world-class event attracting a wide range of the best live bands and DJs. This year's headliners include Weezer, the Strokes, Thom Yorke, Suede, Hot Chip & Rosalia. Our tour includes two or more nights camping at Fanatics Pamplona campsite including the bull runs and nightly street parties. For flight options check out EasyJet, British Airways or Iberian Airlines. Trains to Pamplona are available from Trainline or Renfe and for coach travel try Monbus, La Union or Alsa. Free coach transfers between camp & town - early morning till late night! Modern campsite facilities greet you with loads of clean showers & WCs, an amazing swimming pool, restaurant, bar & mini-market plus nightly entertainment. Personal lockers are available to store your valuables and we also have a 'chill-n-charge' station for your phone. If driving the campsite has car parking available for €15 per day. Our campsite is just 7km/8 mins from the heart of Pamplona - the next closest campsite is more than 30 kms outside of town! Morning & evening coach shuttles are included meaning you'll experience more of Pamplona's Running of the Bulls festival with Fanatics. Our 7 July street fiesta includes free sangria, while the opening ceremony party is one that has to be seen to be believed! Staying at the closest campsite to town plus our extensive coach shuttle service means you won’t miss out on any of the Pamplona party action! Back at camp the bars are loaded up with plenty of sangria & cerveza meaning the festival atmosphere doesn’t stop! Sunday 7 July - extra nights are available to add during the booking process allowing you to take advantage of our San Sebastian Day Trip on 8 July (bookable separately). Welcome to Pamplona! Campsite arrival details will be available on our tour website four weeks before the festival. We have coach transfers available this afternoon from Pamplona bus station to our Pamplona campsite. The campsite is also accessible by taxi (approximately €25) from Pamplona bus or train stations. Check-in is available at our campsite from midday. Upon arrival your tents are all set up and ready for you along with your camping luxury pack - or you can choose our campsite dorm bunks when making your booking. This afternoon our coach shuttles run into town for our orientation walks along the bull run course after which you can look around Pamplona’s old town centre and sample some of the city’s famous tapas bars. Tonight we get stuck into the fiesta spirit at the street party in the heart of Pamplona's old town! After this morning's bull run we board our coach transfer to the BBK Live festival. Fanatics twin-share tents are provided for you to set up on arrival before we kick back ready for three days of non-stop music! Thursday 11, Friday 12 & Saturday 13 July - Bilbao BBK Live! Bilbao BBK Live features a wide range of music from world-class rock and DJ acts to local Basque performers. Weezer have been announced as the first headline act for 2019, stay tuned for news on more acts as they are announced. This morning we pack up our tents and join the shuttle coaches into town.